Week starting 30th March heralds the start of English Tourism Week, organised by Visit England. 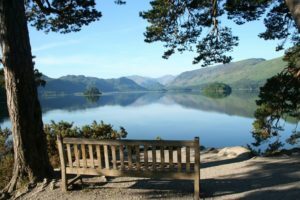 We are proud to be in partnership with Visit England and we are especially proud of our beautiful part of England and are happy to offer the chance for someone to experience the beauty of the lakes and fells around Keswick. Just mention English Tourism Week when you book and we’ll deduct the £50 from your final balance.